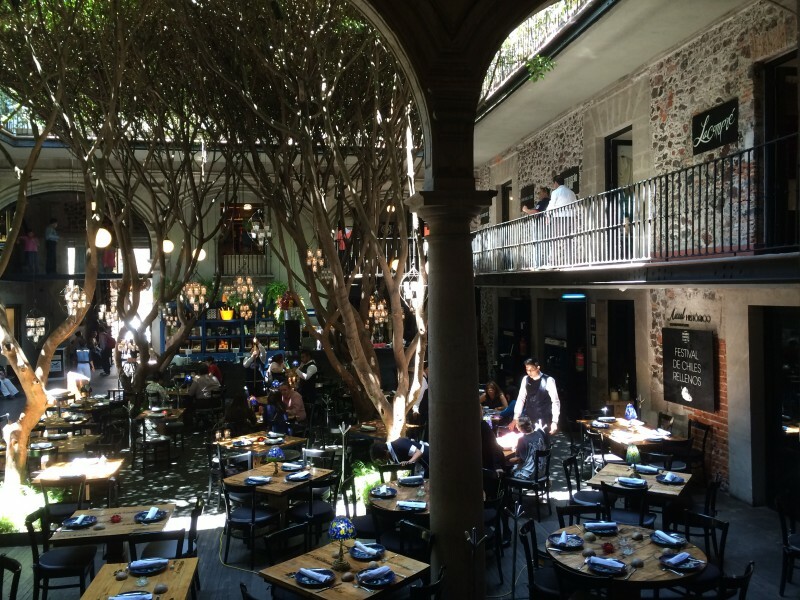 You Gotta Go…to Ciudad de Mexico! 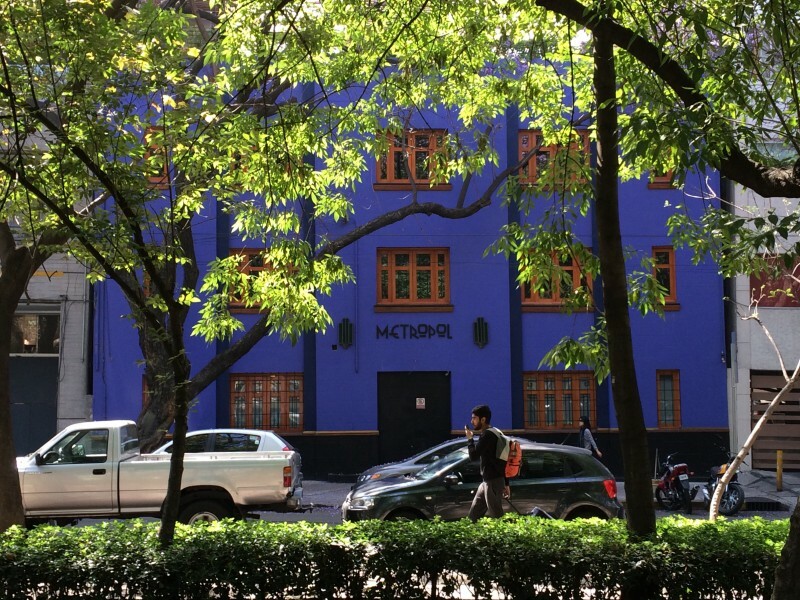 If you’re like me, you’ve never given much thought to Mexico City. Sure, back in 7th grade Geography class there were lots of maps to color and world capitals to memorize, but since then? Not so much. When you talk to Americans about international travel, you’re likely to hear about trips to Europe, or Caribbean cruises, or even African safaris. If anyone mentions Mexico, you can expect to hear about beachfront resorts in places like Cozumel or Cabo San Lucas. But I don’t think I’ve ever heard someone say they were specifically going to Mexico City for vacation. 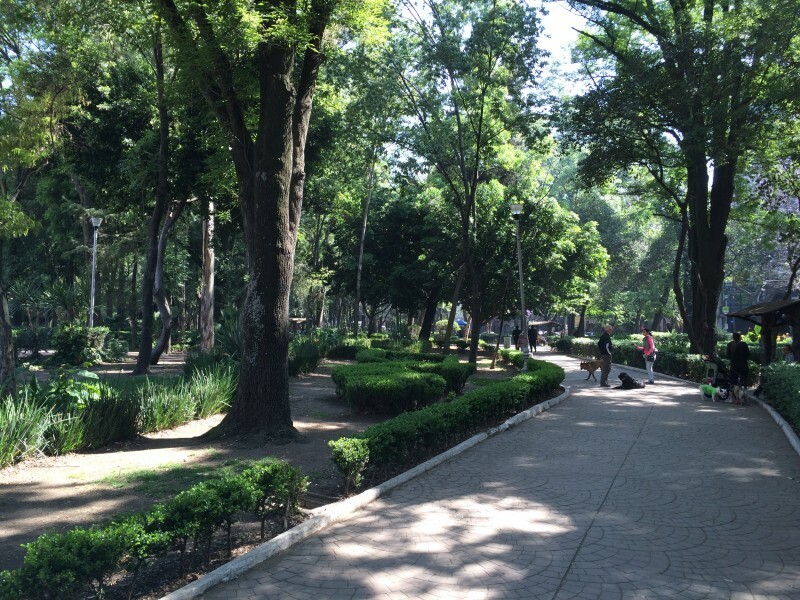 Which is crazy, because Mexico City is amazing! In typical clueless American fashion, I had no idea—until an impromptu trip opened my eyes to the wonder of this incredible place. And I am humbled by my ignorance of this city with so much to teach us! One of my favorite things about travelling is that it challenges your preconceived notions. In this case, my ignorance was so vast, I hadn’t even bothered to have expectations. I knew Mexico City was located at high altitude, and was bigger than NYC. Other than that, I’d been told not to carry valuables or wear shorts. Armed with this “knowledge” I generated a vague mental image that was an amalgam of other places I’d been. I guess I expected a loud, crowded, dirty and possibly dangerous place—kind of a cross between the chaos of Bangkok and the grit of Guatemala City. 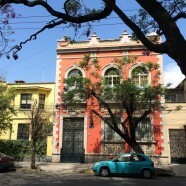 Continuously inhabited since 1325, Mexico City is the oldest capital city in the Americas, and the largest Spanish-speaking city in the world. The architecture is stunning, the food is exquisite and the people are incredibly gracious and kind. 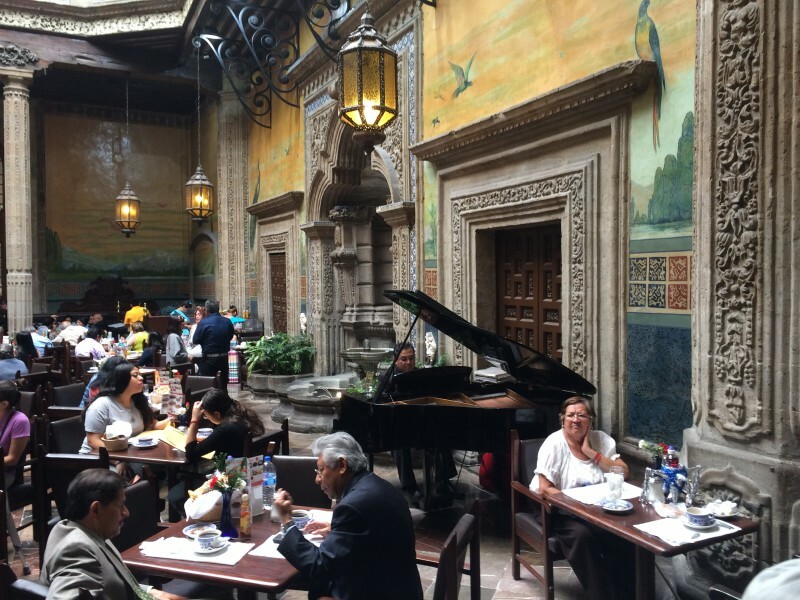 You’ll feel like you’re in Europe, except Mexico City’s friendlier, more affordable, and doesn’t cause jet lag. It’s a 1.5-hour flight from Houston, and a $300 round-trip ticket from Tulsa on Southwest Airlines. Seriously, it’s easier to get to Mexico City than most places I’ve flown in the United States. All of which makes it possible to go there for a long weekend (or a week, or a month). Which you should do, because, in addition to being a super cool place, it’s an urban design nerd’s dream destination. 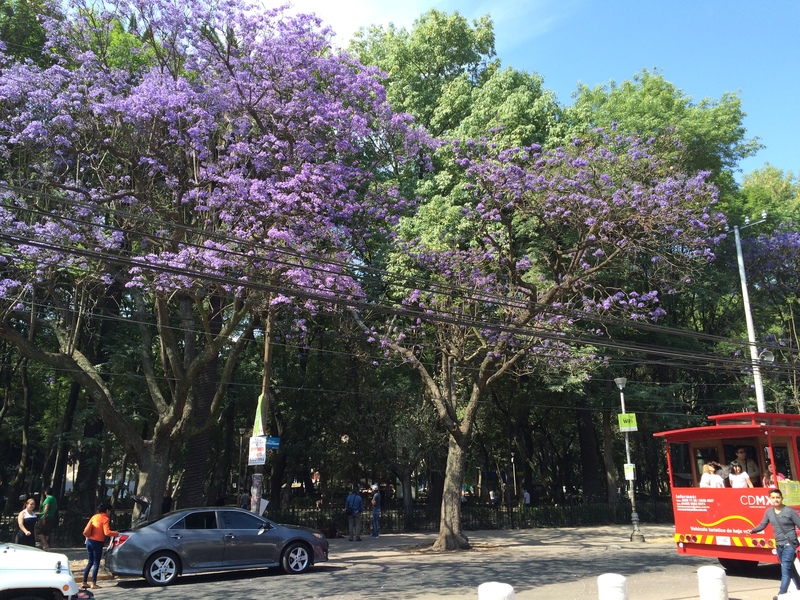 Here are just a few of the things I loved about Mexico City. 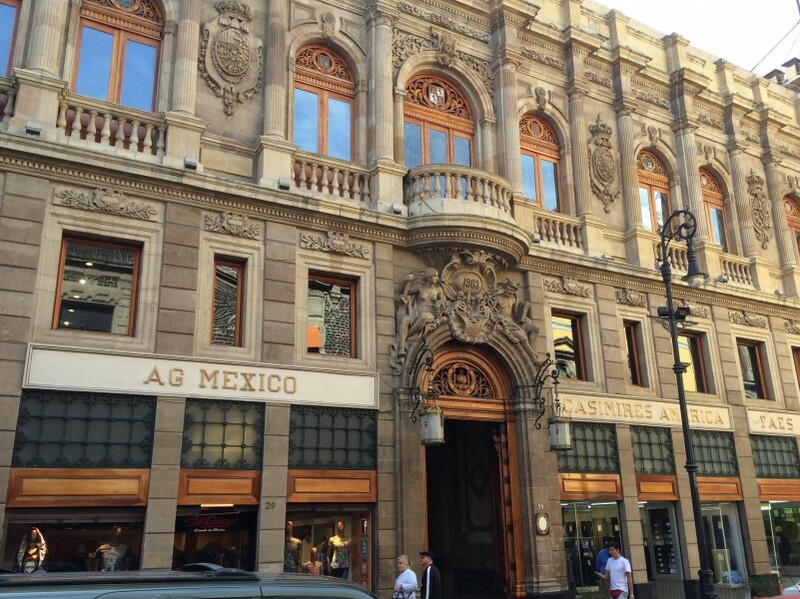 Here you’ll find an impressive array of architectural styles ranging from baroque to colonial to neo-classical to art deco and modern—all built around ancient Aztec ruins. The city exudes a palpable reverence for history, culture and design. Even the public restrooms are gorgeous. 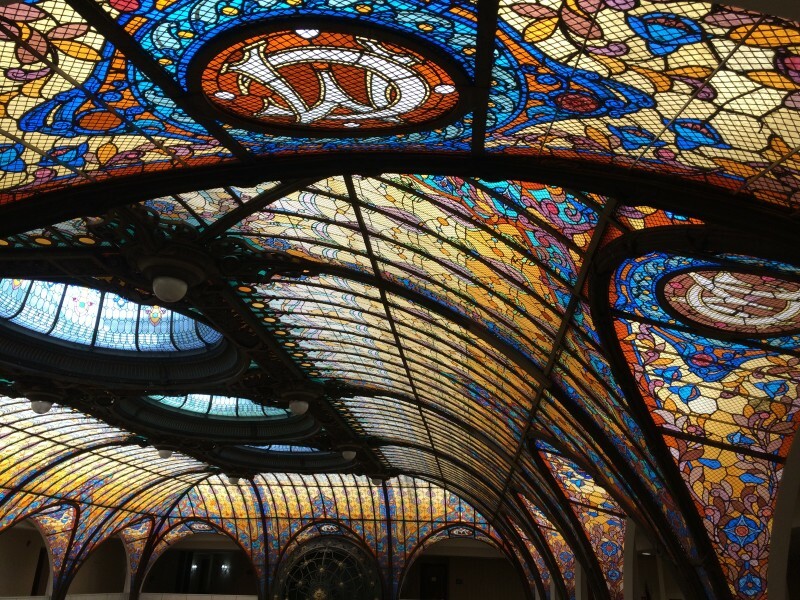 Architects and craftsmen are respected. These are my kind of people. Some neighborhoods are so charming, even their crosswalks are delightful. Seriously? You want to build a wall to separate us from a people whose pedestrian crossings look like this? Or this wall inside a restaurant… Yes. It’s a wall. 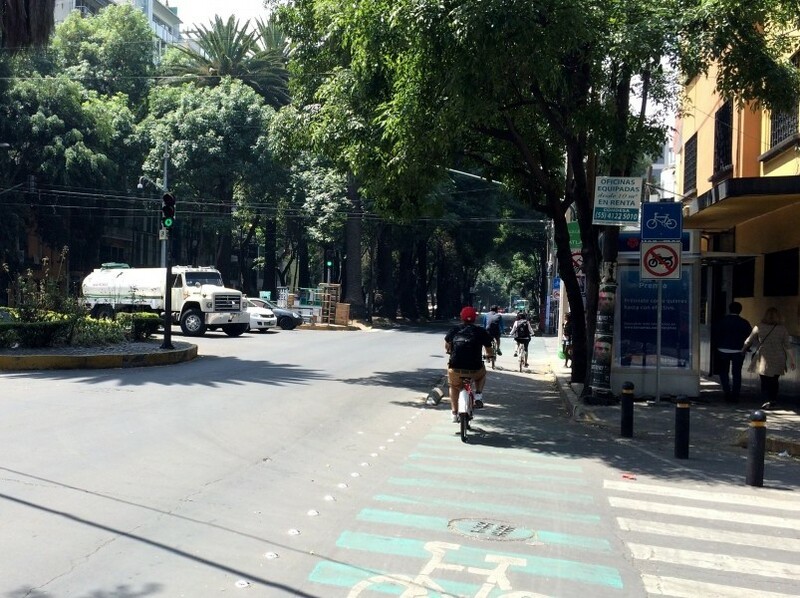 Mexico City is also way ahead of us when it comes to creating safe places for cyclists, with over 90 miles of protected bike lanes. 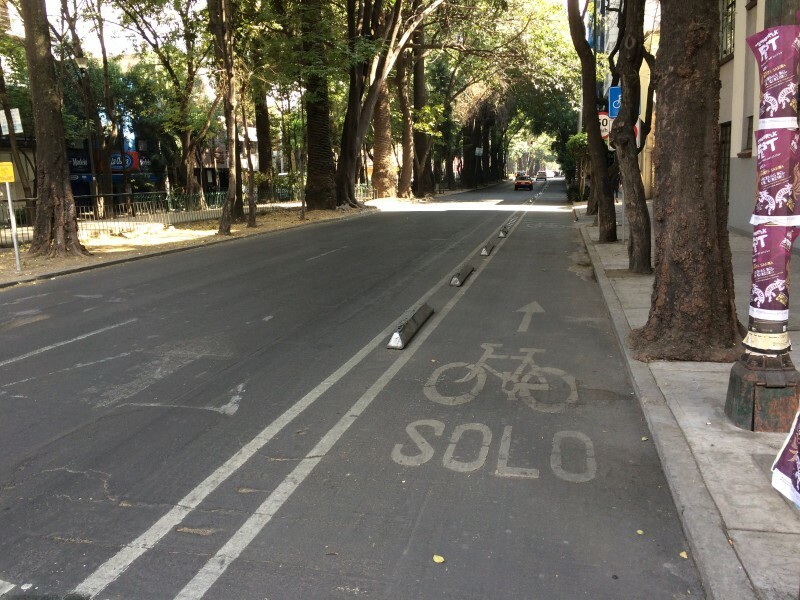 They use wheel stops as an economical way to separate the bike lanes from auto traffic. This protects cyclists far better than striped lanes alone, and dramatically enhances the sense of safety you feel while biking. 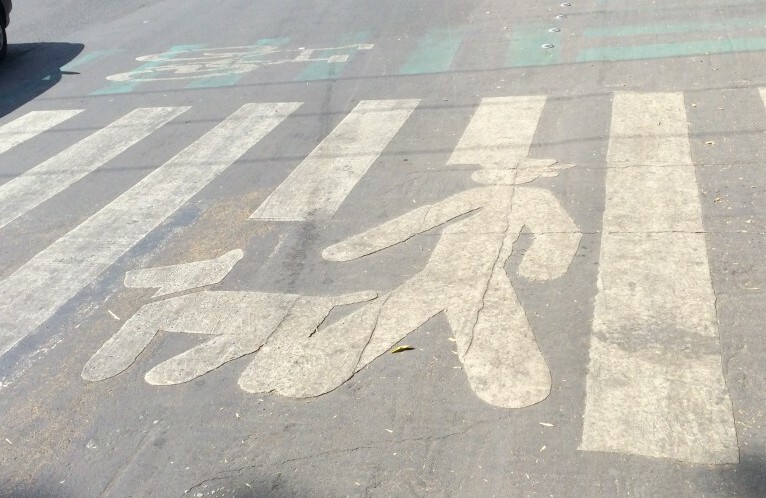 At the same time, they clearly delineate the cycling lane and send a message that the public right-of-way is for all users, not just people with cars. 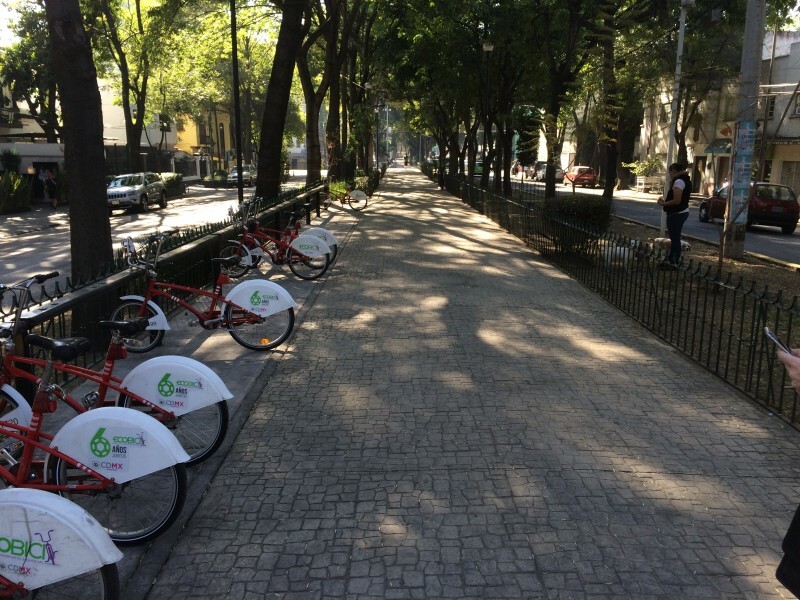 Did I mention that Mexico City has the 4th largest bike share system in the world, with 6,000 bikes at 444 locations throughout the city? Once a week, on Sundays, they close 35 miles of city streets to cars, allowing thousands of cyclists to flood the roads instead. 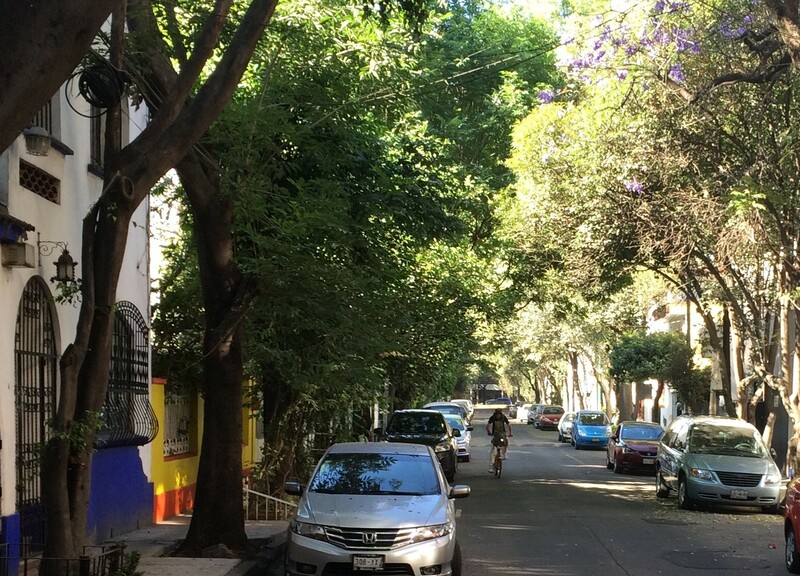 Or, if you’re hanging out in the Condesa neighborhood, you could ride down these gorgeous boulevards (shown above). In neighborhoods throughout the city, trees line the streets, offering soothing respite from the sun in this high-altitude metropolis. In addition to a long list of environmental benefits, trees planted along city streets make people happy. 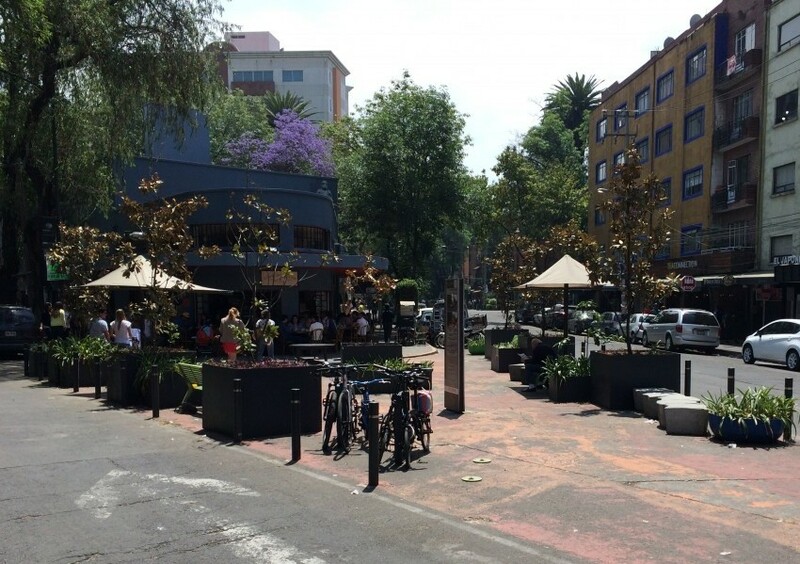 They calm traffic speeds, provide shade, and form a buffer between sidewalks and cars. Street trees create human-scaled spaces, soften the sharp angles of a city, and make every avenue feel like a hug. I don’t know how else to explain it, but whether walking or driving, a tree canopy creates intimacy. You feel its protective embrace–while a dose of natural beauty soothes the soul. 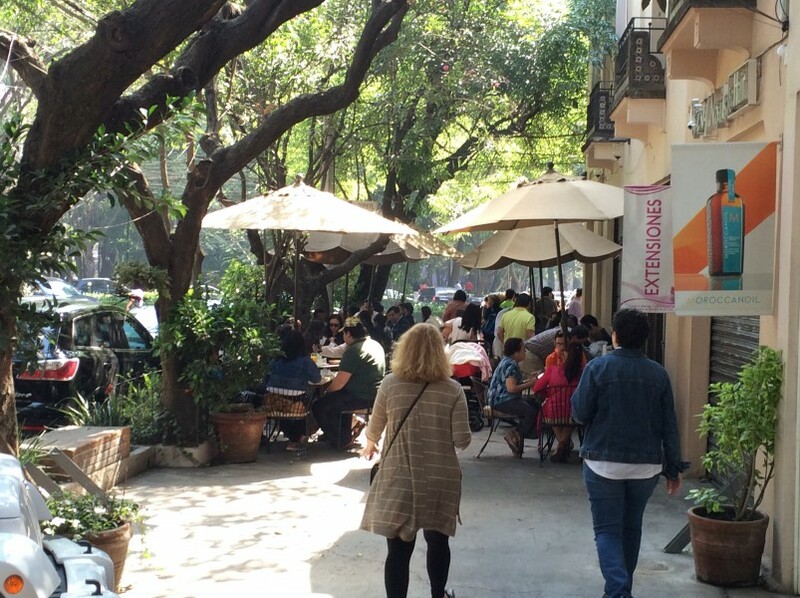 Sidewalk cafes make neighborhoods more lively, inviting and safe. They put “eyes on the street” and create destinations where you can hang out alone, or engage with others as the mood suits you. Sidewalk cafes bring warmth to the street through the simple act of getting people outdoors–and by sharing the joy of watching people having a good time. In our zeal to create space for cars, we’ve often been overly aggressive with the asphalt. Here’s a lovely little example of what you can do to reclaim those paved areas for people. This illustrates what you can achieve when your city has a Public Space Authority dedicated to improving quality of life for all inhabitants. Thumbs up for creating park space for people in an area that was previously utilized only by cars. 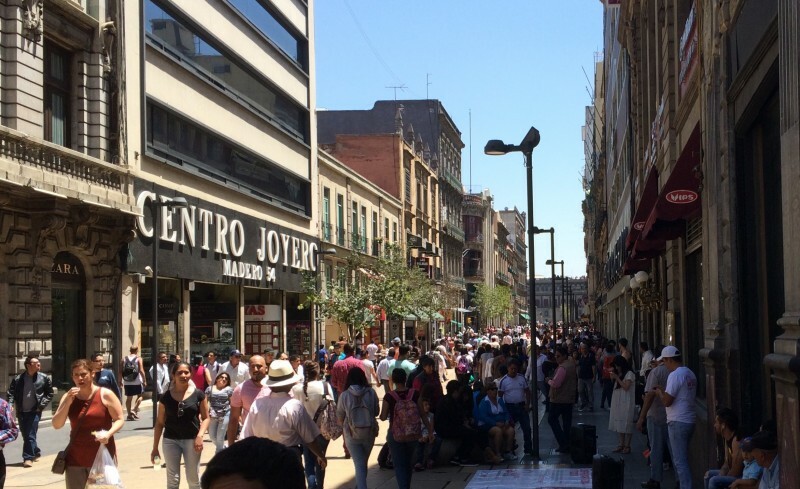 Throughout the Centro Historico, many streets have been rededicated to people on foot. As a result, thousands more folks can traverse these public spaces safely and comfortably. Just imagine the misery and congestion if every person in this photo was driving a car! 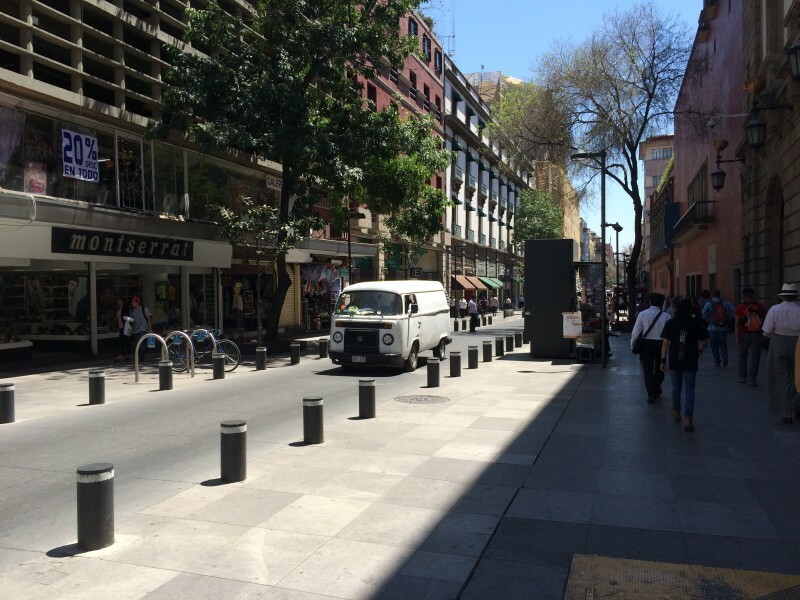 On some streets auto travel is limited to a single lane, with bollards instead of curbs marking the driving route. This sends the message that the street is primarily for people, but essential vehicles can get through. It allows pedestrians to easily cross the street without having to step on and off curbs (a boon to people with physical challenges). And it limits the danger zone where people and cars intersect. This is what it looks like when you prioritize people instead of cars. Did I mention the parks? You’ve got to love a culture that cherishes nature enough to create such dignified and beautiful green spaces. When you enter these magical realms, you can feel your heart rate slow as a sense of peace settles over you. 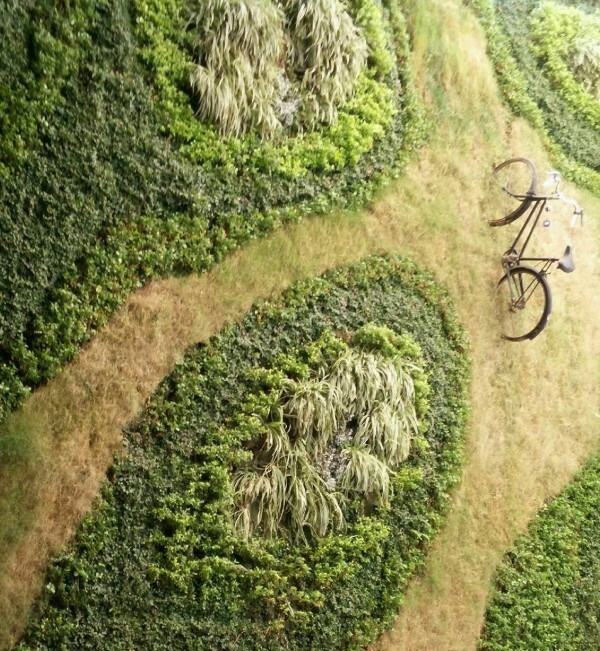 “Biophilia” is the term Edward O. Wilson coined do describe our inherent attraction to nature. Parks play a critical role in the urban ecosystem, reducing stress and increasing the health and happiness of residents. But seriously, what are you waiting for? Get on a plane and visit this gorgeous city. See for yourself.